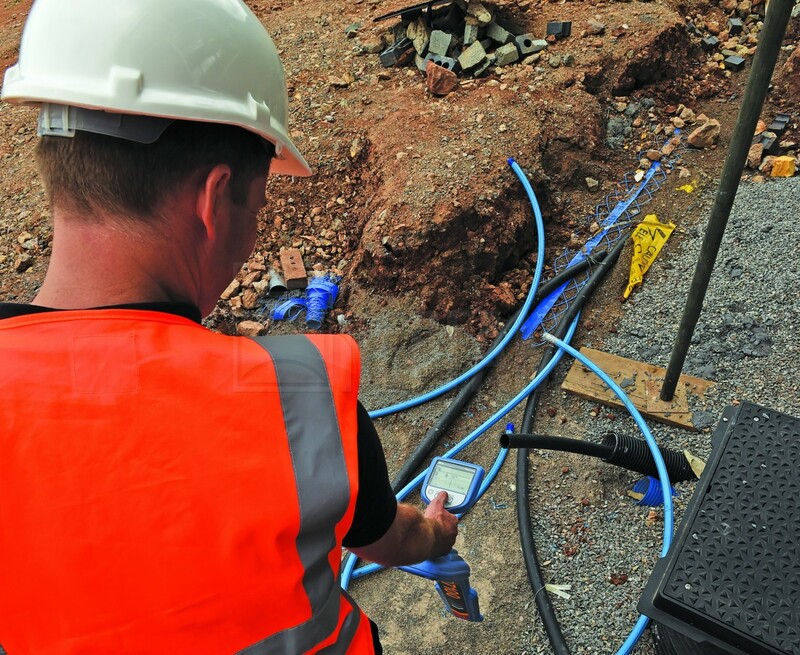 The range of products made by Radiotection for locating underground services is vast but the features and advantages they offer are very unique. For that very reason, today we are going to focus on the uses and features of the PL version of the RD7100 series of underground service locators. Let’s get to work. The 1.9 kg plastic body filled with high tech features makes this tool perfect for use in dense infrastructures where the presence of high voltage equipment and cables can confuse the operator. The RD7100PL is made to be used in electrical and power industries as it is capable of reducing the effects of electrical noise and interference. It is also useful in areas where the source of the signal can’t be determined whether it’s coming from one or multiple sources (cables) and where are the other buried utilities. The first and most obvious feature of the RD77100PL is called a power filter. It brings a more organized way of dealing with sources of cable signals as tracing one through a complex network can be quite difficult. There’s also very conflicting and powerful signals that can combine to make a wash of signal. With the pressing of a button, you can sort out every power signal individually which helps to distinguish if a signal is coming from one or multiple cables, and eventually trace their route. This feature will ensure you get the most precise readings, by showing you the results only if the device is oriented in the correct way. This so-called self-test of the device’s orientation is done by sending signals to the locating circuitry and by checking the display and power functions as well. With the TruDpeth feature, you will be sure to get the correct results 99% of the time as it will always keep you in check with where the device is facing. This piece of technological advancement is almost exclusively shared between a couple of brands and Radiodetection is one of them. This is because the eCert is a very unique way to calibrate your device over the internet using software called ‘RD Manager”. This eliminates you having to go to a service center, thus saving you time and money. A little bit of help is always welcomed, which is why you have an option to turn on Guidance mode on the RD7100PL in order to stay on track of a buried utility. This is quite a straightforward function and thanks to it, you will be able to trace the path of a certain utility even in congested networks. Guidance mode can also be used in rough and uneven terrain by using different audio tunes.